Photographer Kailas Michael's shoot for L’Officiel Baltics defines an embodiment of raw force, and unregulated energy. Transcending traditional motifs of shooting fashion on set Kailas utilizes the rustic beauty of Beyond Studios by incorporating natural golden light casting on the studio’s sky-lit cyc; paired with the use of animal inspired pallets and textures the editorial takes us somewhere truly unique. The heroine of Harper's Bazaar Kazakhstan November cover, the radiant diva Jasmine Tookes, received the VS “wings” three years ago and immediately fell into the “golden fund of angels”. And in 2016, it was Jasmine who was honored to wear the VS Fantasy Bra, decorated with nine thousand diamonds and emeralds, worth three million dollars. Despite the rapid development of her career, the title of role model in the empire of Victoria's Secret and her wild popularity around the world Jasmine adheres to the principle “We must remain modest. No matter what impressive contract you signed.” Photographer Enrique Vega picked Beyond Studios Brooklyn for many reasons including its dedicated greenroom, which gave star talent Jasmine a place to rest, and its large front staging area that allowed production to set up for multiple complex looks. 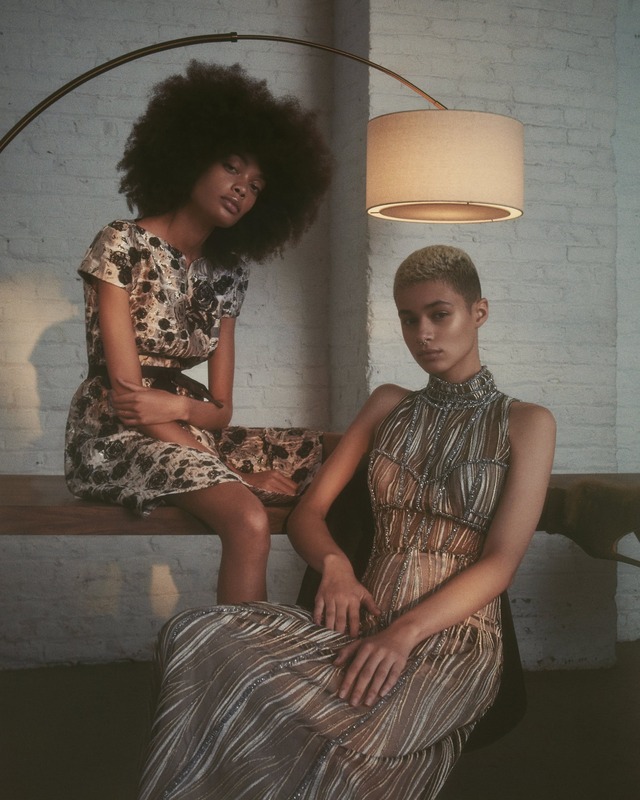 TIDAL is a biannual print magazine focusing on fashion, lifestyle, and culture that pairs East Coast sensibilities with a laid-back West Coast vibe. 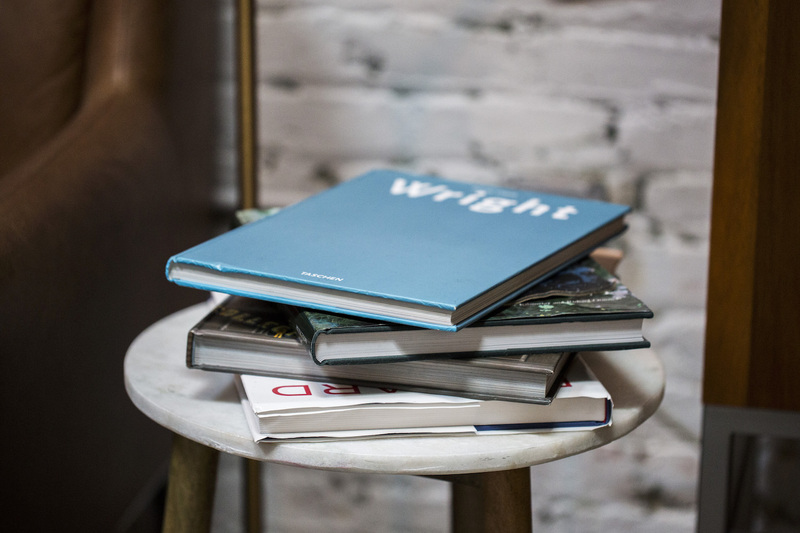 You can turn every page and see something beautiful: fashion that’s approachable, entertaining stories that are fun and inviting, and celebrity profiles that make you feel like you’re getting to know a new friend. For issue 10, TIDAL chose Beyond Studios as the perfect location for their cover shoot with celebrity talent, Laura Dern.. 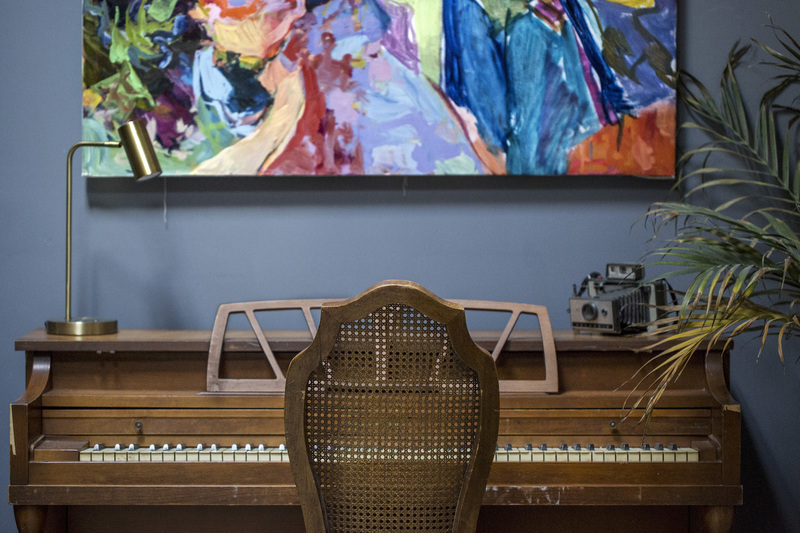 Beyond Studios NYC's unique and private green room is the perfect place to hold celebrity talent. The 12ft rollgate provided direct valuable access for the large set pieces and prop styling for the shoot. The extra large staging area allowed the photo team to build multiple sets at once and keep Laura Dern moving. 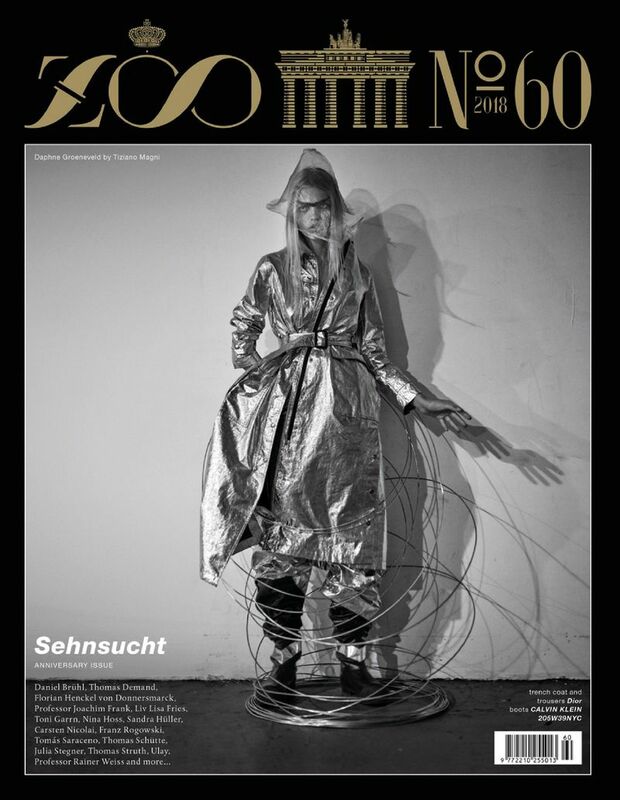 Geist Ballet by Tiziano Magni graced the cover of Zoo Magazine's 60th anniversary issue. Shooting indoors and outside around the studio, Magni was able to capture many different looks. ZOO Fashion Magazine is a luxurious media product that targets fashion and everything to do with it, such as culture, celebrities, interior design and architecture. The magazine is published 4 times a year, recently expanded into a more international context and is now published in both English and German. It is also an international platform for the world’s leading photographers. It is here that they reveal their visions of the world’s best fashion. Trend-setting personalities of Germany and beyond are highlighted by photographers such as: Steven Klein, Bryan Adams, Alexei Hay, David La Chapelle, Terry Richardson and Karl Lagerfeld. 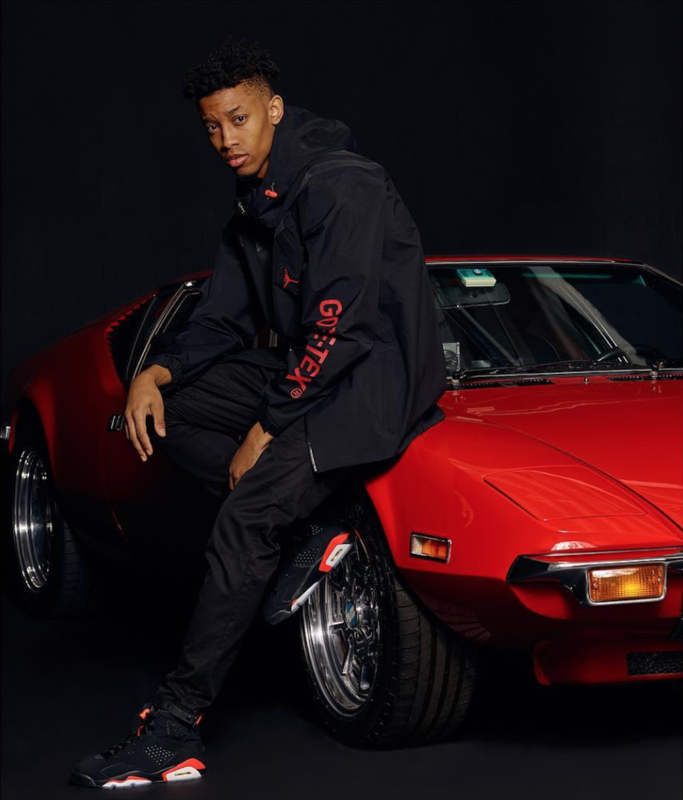 Jeff Wan is an American luxury fashion company established in 2018. 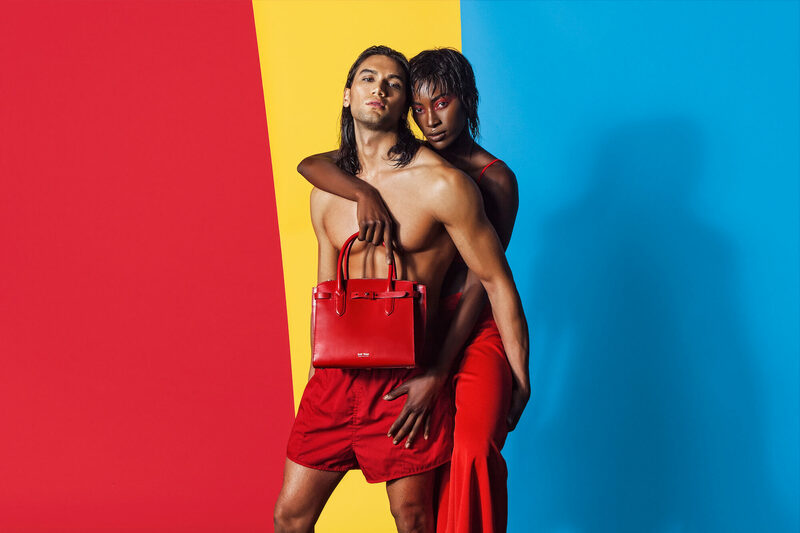 Made for the urban minimalist, and animated with the colors and culture of Mauritius, their line of small leather goods and handbags celebrates ultra-premium design at its most transportive. 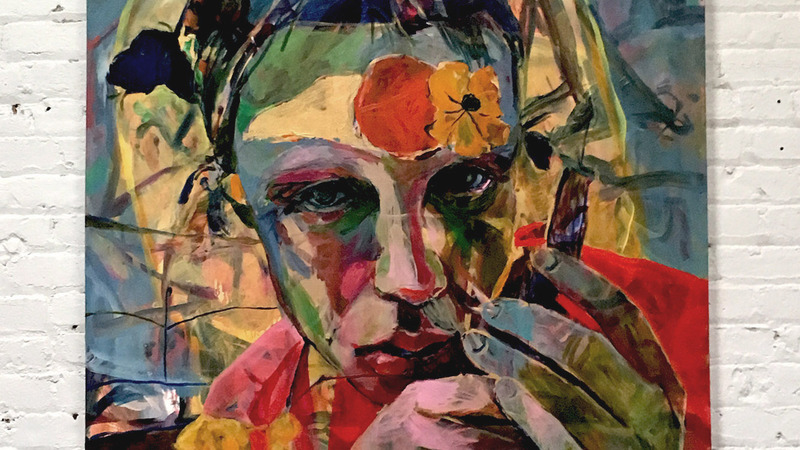 On an individual level, each of their pieces works to tell a unique story in which the ordinary becomes anything but. From their premium gym bag, reimagined lunch box, and everything in between, Jeff Wan brings together imagination and utility in colorful and unexpected ways. The result is an island-hopping collection that feels at home in both Manhattan and the Mascarenes. The debut campaign was shot at Beyond Studios NYC, taking advantage of three different sets including our green room. Beyond Studios NYC was the perfect shooting location because of its unique size; the 3 walled cyc, staging area, and private hair and makeup room allowed 3 sets to be in production at once. As a photographer, an artist, a director, a model, and a Gucci muse, you might say that Petra Collins inhabits more roles than most. But the biggest difference between her and her peers, is the fact that she's leading a new wave of feminism that’s sweeping through Generation Z. This is most evident in her photography, which centers around the recurring themes of all that young womanhood entails: crushes, best friends, first loves, body hair, pimples, and all. Photographing multiple models for CR Fashion Book, Petra Collins takes advantage of Beyond Studios NYC full turn CYC. For Vogue Mexico's February Issue, Valentine's Day was on everyones mind, and what better to show the eternal romance that you have with yourself (which is the most important) and try to decorate yourself with this color: one that regardless of the skin tone, can create the perfect look. Photographer An Le created near all fuchsia worlds complete with a Lamborgini, metallics, and neon. The whole space of the studio was used in this drive in critical production, the CYC was fully turned into an abstract gym, and sets were constructed in the staging area. To learn more about Beyond Studios visit beyondstudiosnyc.com. A series of Pure user's interviews sharing their experience through the dating app produced for the NYC's app launch. Filmed outside Beyond Studios NYC and on our u-shaped CYC director Matvey Fiks tells stories that feel very real. The u-shaped CYC was perfect for capturing "James" as he shows his interest in skateboarding as well as an interesting space for candid interviews. Beyond Studios drive in studio is perfect for productions like this where multiple talent need a green room to wait in before they film. Comedy Central turned to Beyond Studios NYC as the perfect location to film interview sequences for The Daily Show Segment: The Rise of Bitcoin and Other Stupid Meme Currencies. 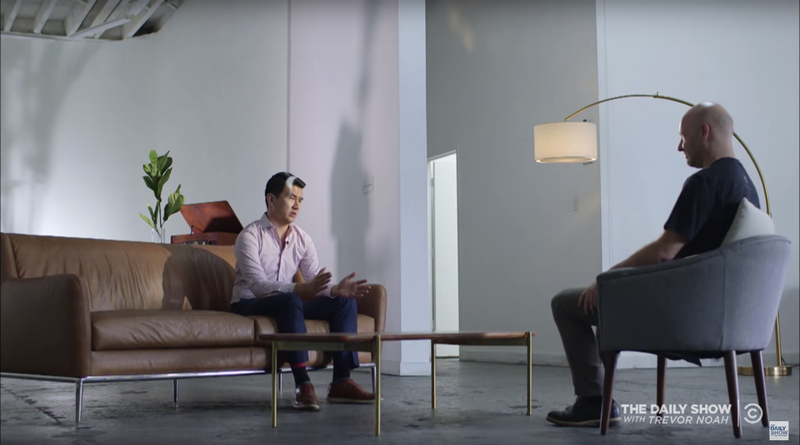 Daily Show correspondent Ronny Chieng stumbles upon a lucrative cryptocurrency idea while investigating Bitcoin's rapid surge. Comedy Central's producers and crew used our main staging area and u-shaped white cyclorama in addition to pulling a couch, armchair and other props from our well-loved green room. All-in-all we're excited about the creation of Chieng Coin and can't wait to have the Daily Show crew back in the photo studio discussing more stupid meme currencies. Abra is Awful Records' secret weapon - the group's soulful singer and producer has built a distinct lane for herself with a strong string of singles and videos over the past years. Her video for "Come 4 Me", a tantalizingly short song that adds simple layers of sound over the course of a single minute. In the Tyler Mitchell-directed visual, Abra strikes poses against backdrops of varying colors as she sings, Go tell the world they can't come for me. Shot in Beyond Studios NYC unique U-shaped CYC, an infinite colored atmosphere was created. Tyler was quoted in an interview with Nylon Magazine, "We wanted to do something short and tantalizing, and keep viewers wanting more from Abra. I focused on pushing Abra to show different sides of herself with each new color scheme." Cosplayers on their way to New York Comic Con 2017 discover the real New York. Our Brooklyn drive-in studio was perfect for Marvel, whom for their latest campaign needed to surround a vintage NYC taxi cab with projector screens to recreate an old Hollywood driving sequence. Beyond Studios NYC is one of the few studios where such a large set can be built while keeping actors comfortable in our separate green room. Our East Williamsburg location also met the soundstage needs for this production as they rolled sound all through out the day, with no issue. New York based emerging r&b stars Lion Babe filmed the visuals in our Brooklyn studio for their latest single “Rockets”. Directed by Chalalai Fischbach and Jett Cain. The video showcases Jillian’s mesmerising dance skills and the dazzling creativity that has set the duo apart in their own league. Beyond Studios NYC is known for its full turn CYC and green room, but for this music video an all black environment was required. To create this a massive custom built 30' by 30' black box studio was assembled in the middle of the main space of our drive in studio. The entire floor was painted matte black and 15' tall black wrap created walls, making an environment perfect for dance. The group is currently working on a new project for release in the new year. Featured in Kinfolk Maginzes Issue 25, Zoltan Tombor photographs Alewya Demmisse. 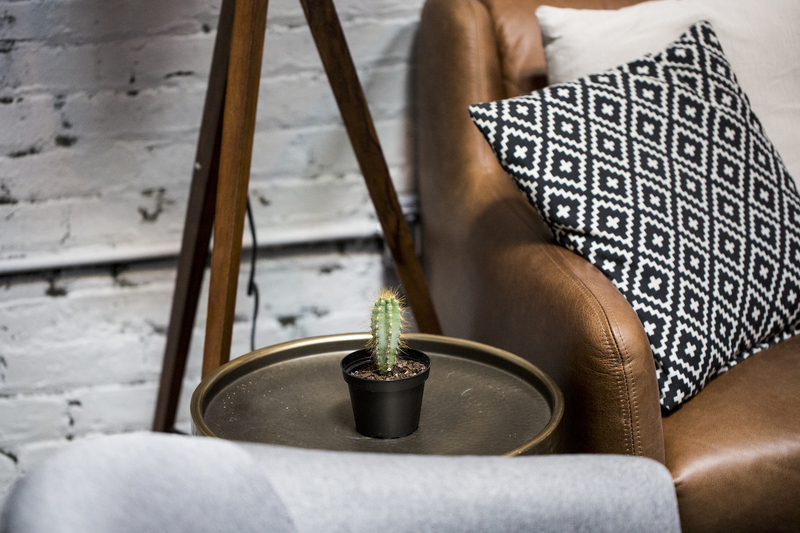 Captured in the cyc at Beyond Studios NYC, Debbie Hseih styles in a simple geometric world. 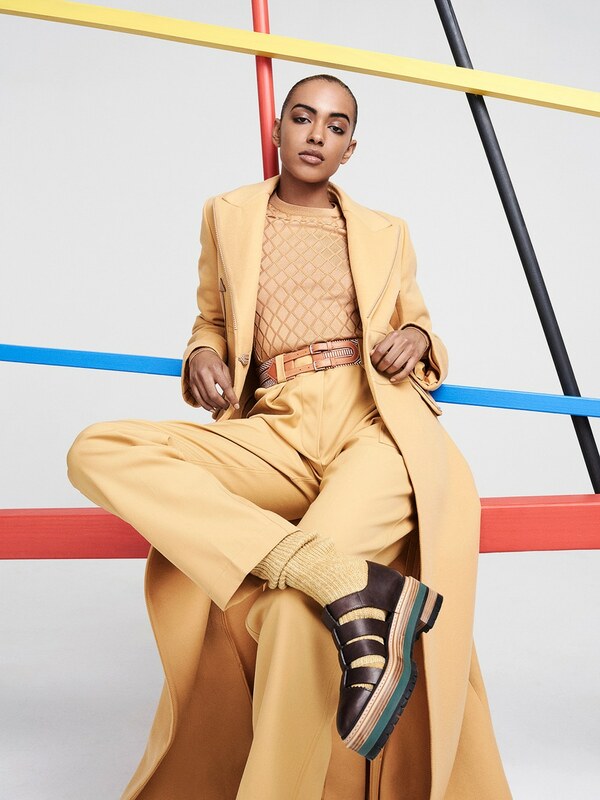 Alewya wears a dress by Jil Sander, shoes by Mansur Gavriel, coats by Victoria Beckham, a sweater by 3.1 Phillip Lim, and much more through out the editorial. Beyond Studios NYC's drive in capibility was perfect for this shoot as the the set pieces had to be constructed on location. To see more visit: https://kinfolk.com/color-block/. Philadelphia 76ers star Joel Embiid plays a prank on fans at Beyond Studios NYC by having them cover for him as he pretends to hide from his crazy agent. After surprising them on set, Joel asks his fans to lie for him as he hides behind the set (inside our U shaped Cyc wall). 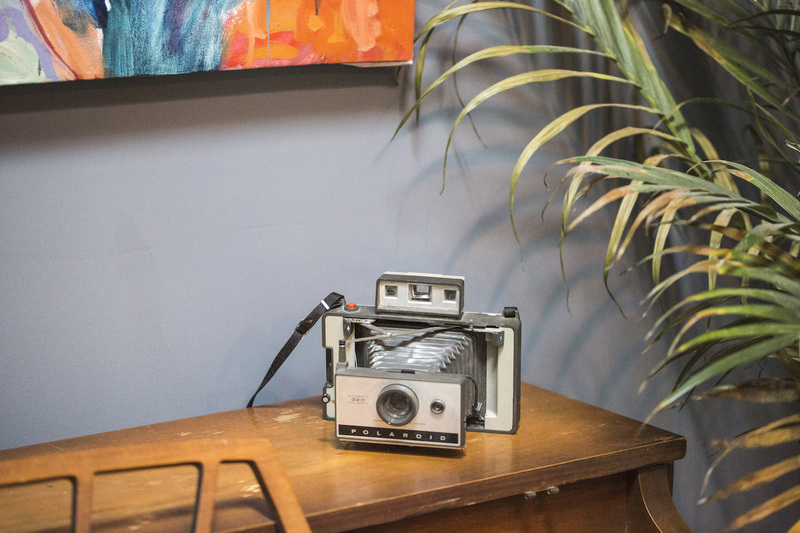 Using our full Brooklyn drive in studio for the pranks, hidden cameras were placed in almost every room. When his fake agent–played by an actor–comes out looking for him, the fans have to decide whether they will cover for the star center or whether they will snitch on him. Beyond Studios NYC features a dedicated green room and hair and make up room which were needed to stage actors and crew so the fans wouldn't know they were being pranked. Today, we are so excited to co-host the kick-off party for Bushwick Open Studios’ signature group show, Seeking Space. 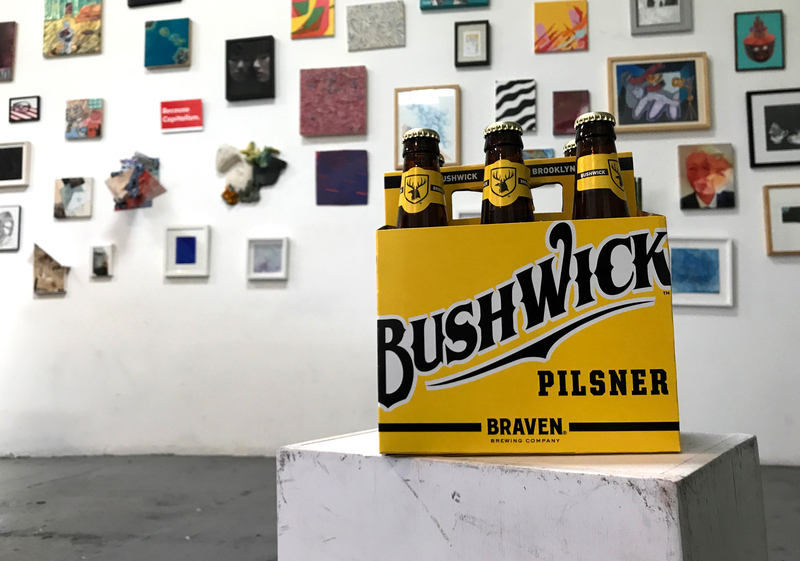 With our cohosts and event organizers, Arts in Bushwick, and our sponsors, Braven Brewery, we will be welcoming in 200 artists and observers from Brooklyn and beyond. But it doesn’t stop after tonight: you can come see the Seeking Space show at Beyond Studios from 1-5 PM on Saturday, September 23rd and Sunday, September 24th as part of the Bushwick Open Studios weekend. No summer can be properly topped off without a back-to-school jam, and the summer of 1973 was no exception. On August 11 of that year, a party at 1520 Sedgwick Avenue in The Bronx transcended from moment to movement: it was the birth of hip-hop, ushered in by the beats of its forebear, DJ Kool Herc. While hip hop has grown far beyond its roots, this day has proven pivotal to its fate and future as a genre. 44 years to the day, we had the honor of celebrating and hosting Diggin’ Thru the Crates’ debut New York event at Beyond Studios. As attendees were treated to by-request sets by Bronx-bred legend, Lord Finesse, Hot 97’s Peter Rosenberg and resident DJ Alizay, they also had the opportunity to browse through vintage vinyl and magazines. Official video for "Off You Go," Oshwa's newest single out July 11, 2017. Singer/Song-writer Troy Everett was born in the farmlands of Maryland where he started his music career at just the age of 5. 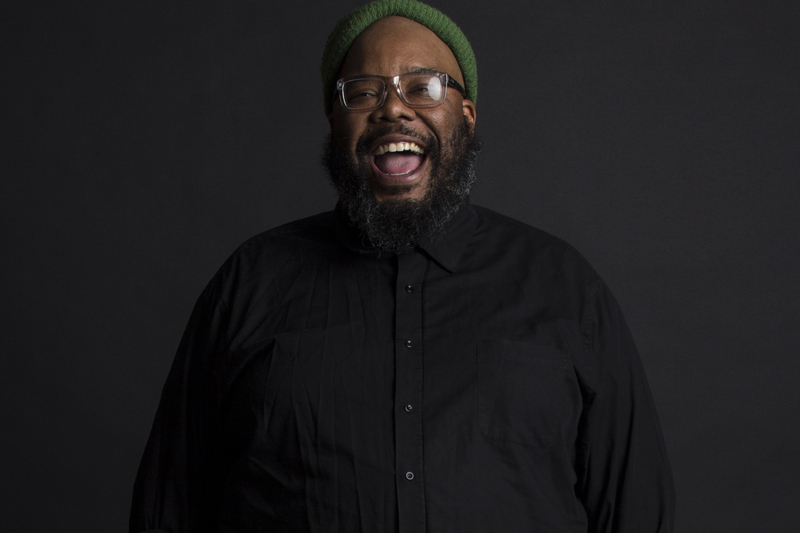 Classically trained in viola and piano, Everett is also self-taught on the guitar, drums, bass and more. After attending both the Meadowmount School of Music and the University of Maryland, Everett is now recording and performing locally in the Washington, DC area. His classical training combined with his experimental music influenced by Cat Power, Beck, and Deftones, creates a unique and distinct sound.